Medtronic has launched its new generation Enlit sensor, designed to provide a more consistent and comfortable experience for people using continuous glucose monitoring (CGM) in Europe. The latest continuous glucose monitoring sensor provides improved comfort and sensing experience. New generation Enlit is the latest iteration of Medtronic’s Enlite glucose sensor and is used as part of the MiniMed Veo system, an integrated insulin pump and CGM system. 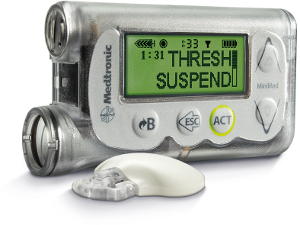 Low Glucose Suspend feature of the MiniMed Veo system significantly reduces hypoglycemia. Medtronic’s new generation Enlite improvements include 80% reduction in implanted volume, improved sensor-to-transmitter connection and updated sensor adhesive patch design to help reduce likelihood of skin irritation. The improvements also include new chemistry pattern and layers, designed for more consistent daily performance through the life of the sensor. Medtronic vice president and Continuous Glucose Monitoring business general manager Greg Meehan noted the company is committed to developing technology that improves clinical outcomes for people living with diabetes through innovation of its sensors, such as new generation Enlite, and advanced features like Low Glucose Suspend. "Sensors that perform well and are comfortable for people with diabetes to wear are critical to helping people achieve the clinical outcomes that CGM-enabled features like LGS provides. New generation Enlite marks another critical milestone of innovation towards an artificial pancreas," Meehan added. Medtronic has obtained CE Mark approval for the new generation Enlite. The device is currently available in six countries and it will be launched across Western Europe within the next few months. Currently, the new generation Enlite is not approved for use in the US. Image: Medtronic’s MiniMed 530G with Enlite. Photo: Courtesy of Medtronic, Inc.